The Long-Term Quality Alliance, with support from The Commonwealth Fund, interviewed fourteen experts in the field of data and research related to adults under age 65 with disabilities. 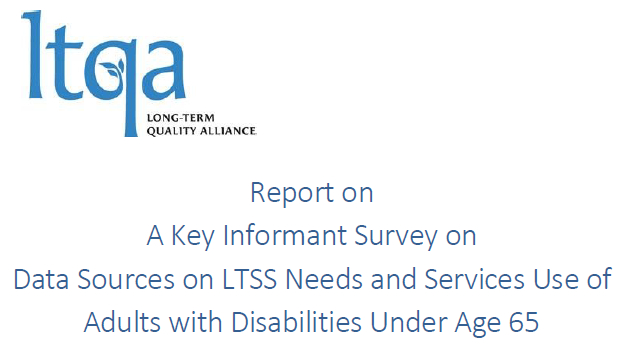 These interviews served as the first phase of a project to develop recommendations for data collection that will assist policy-makers in addressing the long-term service and support (LTSS) needs of working age adults with disabilities. Click here to read the complete key informant report.